Hunting season is here. Itineraries, skills, and the proper gear are a good plan. Park Police officers, park lifeguards and San Francisco Fire Department personnel responded to a report of two people stuck on the rocks near Painted Rock on the Coastal Trail on Thursday, October 30th. A man was found on the rocks about 150 to 200 feet below the trail; there was a woman below him, but she was not immediately visible. Park lifeguards swam to a spot below and found the woman’s body on the beach there. Lifeguards and firefighters swam her body out to a waiting fireboat. Meanwhile, firefighters set up a long-haul rope system and brought the man back up to the Coastal Trail. Park Police detectives took a statement from the man and then transported him to his residence. The woman’s body was taken to the San Francisco Medical Examiners’ Office. 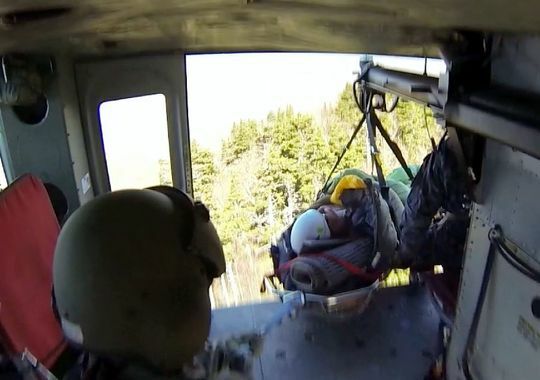 The man and woman had hiked into a closed area that was posted with a sign stating that the area was dangerous and that people had fallen from that location, a fall of approximately 300 feet. The woman fell to her death; the man became stranded while trying to reach her. The case remains under investigation. 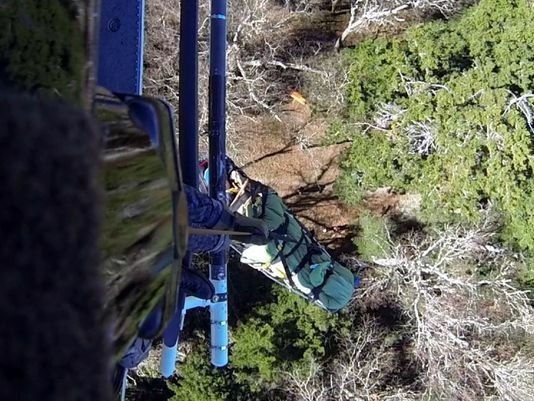 This entry was posted in Search and Rescue, Survival Weekly and tagged backpacking, boater safety, camping, climbing, fishing, hiking, Hunting, search and rescue, Search and rescue stories, wilderness emergency, wilderness medicine, wilderness survival, wilderness survival stories on November 5, 2014 by bigpigoutdoors.